Hilarious and heartbreaking, Creepy & Maud charts the relationship between two social misfits, played out in the space between their windows. Creepy is a boy who watches from the shadows keenly observing and caustically commentating on human folly. Maud is less certain. A confused girl with a condition that embarrasses her parents and assures her isolation. Together Creepy and Maud discover something outside their own vulnerability — each other’s. But life is arbitrary; and loving someone doesn’t mean you can save them. Written with pure Australian genius, Creepy & Maud became a masterpiece. Viewing the world from entirely different and unique perspectives, I really enjoyed getting inside Creepy and Maud’s heads. I liked that Creepy’s chapters started with quotes from old books while Maud’s chapters ended with codas. Almost every line was a quotable quote for me. It was that good! Creepy was the invisible boy – the one who was barely noticed in a room. He was distant but very observant, taking in all the littlest details of everyday life and interaction. He looked at the world through a very different lens. His take on social practices and relationships was one of the things I liked about him. His critical view of the world, infused with his humor and curiosity, made a lot of sense. He woke me up, made me think twice and reflect. Maud was eccentric and problematic, most people including her parents misunderstood her. Throughout the novel, I’ve seen her be the problematic and misunderstood girl to the unloved daughter. She suffered from trichotillomania which was a condition in which the person experiences hair loss due to repeated and unstoppable urges to pull hair. I felt for Maud. She craved motherly love and attention but didn’t get any of it. She only found comfort in hair pulling and sometimes, in Creepy. I really liked how Creepy and Maud’s relationship developed from awkwardness to understanding. At first, Creepy was stalker-like and used binoculars to monitor Maud. Maud was creeped out by him. It was ironic how they were both locked in their own rooms – whether by choice or not – and yet they found friendship, understanding and even, romance in that situation. It was love from a distance, the so near yet so far scenario. They were neighbors and yet they couldn’t get close physically and stand next to one another because there was too much tension between their parents. As always, Aussie writers never fail to impress me. This novel reflected real life: messed up people and messed up relationships. The story was heartbreakingly good. Love doesn’t conquer all but love helps ease the pain we feel, especially in Maud’s case. Love also pushed Creepy step forward and turn off his ‘invisible’ mode. 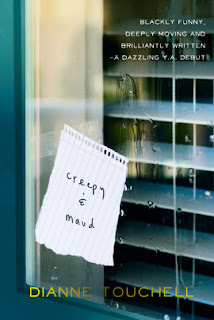 Creepy & Maud is a darkly humorous, eccentric and enjoyable YA contemporary. Prepare to be creeped out and amazed with this Aussie gem! I strongly recommend this to contemporary readers! 4.5 Cupids = Obsessive book love. Almost made it as one of my favorites! I strongly recommend this! I attended the book launch for Creepy and Maud last month and though I haven't yet read it up, look forward to picking it up. It sounds very emotional and dark though so I must be in the right frame of mind to read it. I'm so happy to hear this has become a favourite of yours and that you loved it so much! I hope I enjoy this as much as you did. You've definitely piqued my interest even more with this epic review of yours so thanks for sharing! 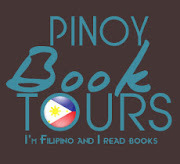 Dedicated and passionate reader of novels - primarily of fantasy books. Blogger/reviewer. Aspiring writer - currently spinning my own tale of fantasy. I'm 24 years old. Finished BA European Languages, major in Spanish and minor in Italian. Currently studying German. Currently hosting and organizing the blog event Celebrating Debutantes 2016. Contact Me: I love getting emails!